Interviews are daunting for many people. I love talking about any facts regarding career enhancements. Whether you are the interviewer or the interview candidate this information will benefit you greatly. If you are the interviewer, it is a great way to figure out if the interviewee is a good prospect or not. If you are the candidate, it is a wonderful way of figuring out if you would like to work for the company. It is a great time for both the interviewer and the in candidate to gain valuable information. 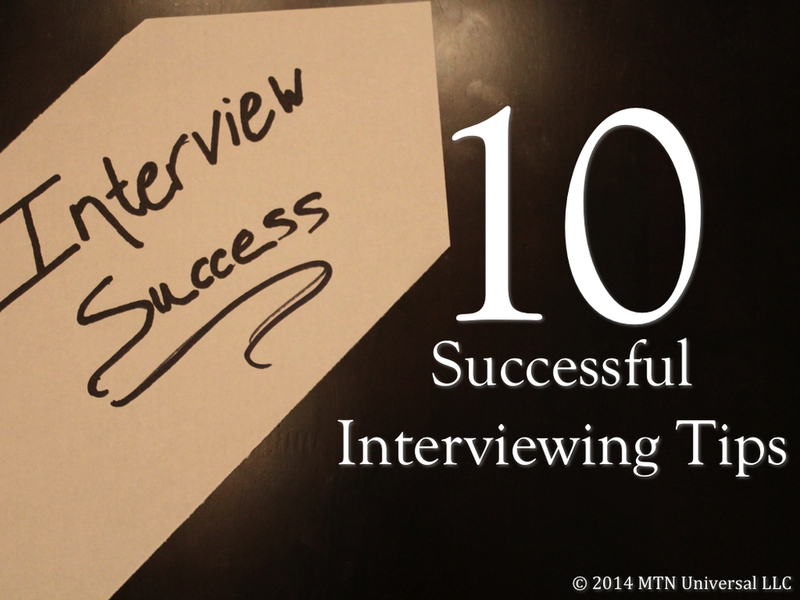 Here are __ tips to equip and empower your job interviewing strategies. There’s nothing like being you. Many candidates make the mistake of trying to be someone they are not. When you are yourself, you give the interviewer a great preview of who you are and what they can expect of you. Both parties will benefit from the candidate’s “authentic self” showing up at the interview. Being you eliminates any surprises. In addition, the interviewer will see the genuine and sincere you, which plays in the candidate’s favor. In the world of high-speed Internet, we can just about research anything with a few clicks on our computers. As an interviewer, I would check out the candidate’s social history profiles including Twitter, Facebook, Instagram, Pinterest, Google+, LinkedIn, etc. With that said, the candidate must be aware of your presence appropriateness on any of the social media mediums mentioned above. It would be a great way to show how past experience suits you well for the job in which you are applying and / or supervising. This lets the interviewer know, you have done your homework and that you will apply yourself to the specific position in which you’re applying or supervising. Your first impression is sometimes your only impression. So, why not look the part? As the candidate, your dress should appropriate to the job you are applying for because it may the slightest determining factor that qualifies or disqualifies you for the job. I would avoid any bright colors and make sure you keep it professional, but classy. Rule of thumb, choose solids of any patterns. The best colors of solid navy, dark gray, or black suits. This is one of the most important tips to interviewing, if not the most important. Eye contact demonstrates your confidence, focus, and trust in what you are saying and what the interviewer is saying. Your eye contact or lack thereof tells the interviewer so much about who you are. Eye contact needs to be made when you are talking and when you are listening. All interviewers should want someone who has great eye contact because it demonstrates the ability to communicate and a certain level of self-esteem. As a candidate, your body language can indicate your self-esteem and energy level. Sitting with proper posture conveys confidence. I know we have already discussed making eye contact and having proper body language. There are three things that will help you connect with your interviewer: 1) smiling, 2) eye contact, and 3) shaking the interviewer’s hand. These three things will set a positive tone for your interview and will leave an unforgettable impression on your interviewer. Anything on your resume is fair game for an interviewer to explore. It would be worth your while to know every aspect of your resume and be able to explain any portion of your past history. Many hiring decisions are made quickly, so follow up as soon as possible. Preferably, responding within a day is good timing. These strategies will definitely separates you from the rest of the field. After your interview, you should send a thank you card, email, note, or letter. Something needs to be sent to show your appreciation of their time and consideration for the job positions.